An Alumnus of California Culinary Academy, San Francisco, CA, Sally Camacho graduated with honors from both the Culinary as well as the Baking and Pastry Programs. While at school in Northern California, she also worked at Wolfgang Puck Express and Taste Catering. Her love of travel took her to Caneel Bay Resort, a Rosewood Hotel property, in the US Virgin Islands where she gained first insights into the culinary world of a multi-unit luxury resort property. Her motivation to expand her background returned to her home to Los Angeles, to work with the world renowned Chef Donald Wressell, Executive Pastry Chef at The Four Seasons Beverly Hills. As turning point in her career, and the core basis of her training, she learned all aspects of the luxury hotel industry including plated desserts, chocolate and sugar work, and catering high profile events such as the Grammy's and Academy Awards. She learned precision, dedication and practiced for national pastry competitions. During her tenure she was promoted various times from being a line employee within a team of 9 to the second highest in command of her department at a young age. Chef Sally was selected by renowned Executive Pastry Chef, Frederic Robert to be his Assistant Pastry Chef for the opening team of Five Star / Five Diamond Resort - The Wynn, Las Vegas. She prepared daily buffets for 7,000 guests, while overseeing the pastry program of eight other outlets of the Resort as well as Catering / Banquets and In Room Dining. She then joined Chef Bradley Ogden, commanding the sweet kitchen at the James Beard Award winning restaurant, Bradley Ogden at Caesars Palace, Las Vegas as Pastry Chef. She created menus daily inspired by just picked Farmer's Market produce which led the restaurant to its first Michelin Star award. Chef Sally has traveled extensively while participating in acclaimed culinary events, national and international competitions. In 2007, she was part of the first All Female Pastry Team to ever compete in world history. It was for the "National Pastry Team Championship", receiving the Silver Medal and the award for Best Team Sportsmanship. In 2009, she was part of the USA Team for the American Culinary Federation World Olympics held in Germany, where the team received Gold Medals in hot and cold food. Rising, to yet another challenge Chef Sally took on the reopening and repositioning of the iconic Fairmont Turnberry Isle Resort in Aventura, Florida, as the Executive Pastry Chef. There she built the entire infrastructure and all aspects’ concept including the pastry program for three fine dining restaurants, room service, artisan bread program, amenities, wedding cakes and banquets. While in Florida, she taught classes on Wedding Cakes, Petit Fours, Bon Bons, Pralines and Plated Desserts at Ewald Notter's International School of Pastry Arts. Additionally she assisted with representing the school at high profile events. In 2010, Chef Sally joined the Ritz-Carlton Hotel Group and opened the Los Angeles downtown property as Pastry Chef for Wolfgang Puck’s modern Szechuan styled restaurant WP24. 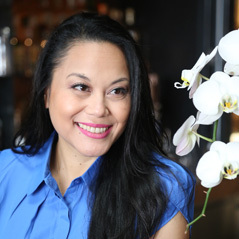 She maintained her love for “focus on flavor” creating unique desserts with various ingredients and techniques from Europe to Asia. In 2011, she re-opened the iconic Hotel Bel-Air in Los Angeles with the Wolfgang Puck Company in conjunction with the Dorchester Collection as Executive Pastry Chef. She created the entire pastry, amenity and ice cream concept for the fine dining restaurant, In-room dining and Banquets. In 2011, Chef Sally competed and won the United States title for Valrhona C3 Competition among 5 other selected pastry chefs in the country. This gave her the path to represent the United States at the Valrhona C3 World Competition in Madrid, Spain during Madrid Fusion where she won 3rd place in 2012. To date, she maintains the status of the highest level any US Pastry Chef has ever reached in this world competition. Additionally in 2011, she was a Cheftestant on the Bravo – TV show concept Top Chef: Just Desserts / Season 2 where she came out as a finalist and runner-up. Another highlight in her career was the accolade of winning the nation’s sought after title of “Top 10 National Pastry Chef” by the magazine Dessert Professional in June 2012. This title rewarded her with an additional national and international recognition. Chef Sally then took on the challenge of Executive Pastry Chef for the iconic Jonathan Club overseeing its two properties with six outlets each in Downtown Los Angeles and Santa Monica Beach. She revamped the entire pastry programs by bringing her signature flavor-first desserts to the most elite clientele within the area. Her focus is high quality ingredients, Farmer’s market fruits and product, and a unique dessert experience one can only get at the club. She recreated its elite Fine Dining restaurant concept and elevated the pastry component of the diverse events up to 4000 people. In 2015 she joined as Pastry Chef and Baker Instructor at the Culinary Institute of America Greystone in St. Helena, Napa Valley. At this world acclaimed institution she was inspiring and teaching the next generation of Pastry Chefs with her success proven knowledge, skills and expertise. Sally is currently underway to open the contemporary French restaurant Tesse in West Hollywood as Managing Partner.